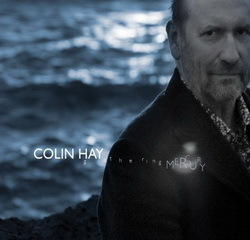 There’s a warmth to Colin Hay’s vocals which instantly resonates. There’s no confusion as to what’s to be expected when an acoustic guitar and that Scottish-via-Sydney vocal kicks in. Like others of his ilk – namely Robert Forster, Paul Kelly and to a lessor extent The Church’s Steve Kilbey – his peculiar brand of Australian-ness swells the heart and instantly proves to be a soothing salve. Suffering from an abundance of talent by a fairly lackadaisical approach to career direction, Hay’s name seems to have dropped out of the contemporary consciousness. Save for the odd appearance on an American sitcom (he seems to be the darling of the US medical satire Scrubs) and a recent legal stoush thanks to an opportunistic claim for copyright infringement, Hay has been relatively out of the public eye since the 1985 implosion of Men at Work. It’s surprising to learn, then, that the period since then had garnered 11 studio albums; the highlights being the 2003 re-release of the 1992 album Peaks & Valleys and the 1994 opus Topanga. Whilst his early career focused on delicious pop-hooks and somewhat cheeky song-writing, his later years have been intent on plying a trade in troubadour blues, peddling songs of pain inflicted and redemption sought. His Scottish-via-Australia and now California accent shines through in all his tunes: deep emotions felt keenly, but expressed without histrionics and carried by light, lilting simple tunes. It’s this simplicity, however, which almost becomes the sticking point of his latest album Gathering Mercury. For the most part, the album eruditely deals with the emotionally fraught central themes – those of mortality, loss and a seeking of relevance (Hay lost his father prior to the recording of the album). Unlike Mick Harvey’s recent tome on death, Sketches from the Book of the Dead, Hay’s is less at ease with life’s journey. “Send Somebody” and “Invisible” tell stories of the keening search for meaning (“I’m invisible to the naked eye / I’m invincible no more, no more”). A triplet of tunes – “Dear Father”, “Gathering Mercury” and “Half a Million Angels” – act as a wholesome ode to his departed father (“Dear Father, I can’t let you go just yet / And I still can’t forget you walking around”). The emotion is matched by rich mixes, focusing heavily on his signature, tonal acoustic guitar. In spite of this weighty approach, a couple of seemingly tearaway cute moments do rattle the foundations a little. Early on the piece, the narrative-driven “Family Man” relies too heavily on whimsical, half-hearted guitar lines and cheap ukulele and piano gimmickry, before blasting out in overblown, faux-stadium excess. It’s a small roadblock which sits in stark contrast to the hand full of tunes butting up against it, but it’s whimsy is mirrored by the aptly-named “A Simple Song” towards the end. It’s a full-blown children’s show melody, and (again) ukulele humour, which holds a mirror up to the song-writer and the act of song-writing itself (“I do like a simple song / Where everyone can sing along”). Granted, Hay’s stock-in-trade over his formidable career in the 80s was built on the framework of courageously and deceptively simple tunes (to the point of being accused of ripping off what was essentially an Australian nursery rhyme “The Kookaburra Song” as the basis of one of Men at Work’s break-through tunes Down Under). 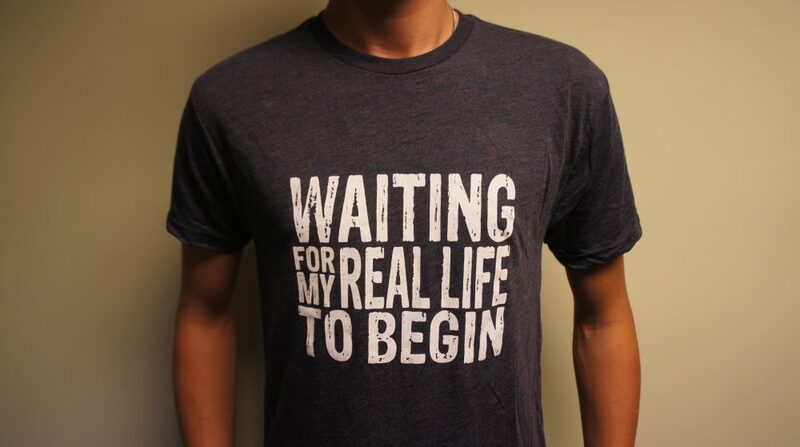 And given context and backing, simple tunes are his forte. But when it’s stripping of it’s punch-line and seemingly devoid of the knowing smirk (“Who can it be knocking at my door?”), it just falls flat and proves to be an unnecessary distraction. The fact that it’s bookended by possibly one of the most intense and morose moments of the album – the unfurling ribbons of the instrumental “Goodnight Romeo” – possibly hints at the artists own self-consciousness of including such a minnow in this otherwise formidable tome.